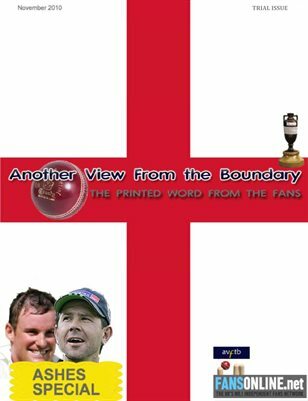 After being an online stop for England cricket fans, for the last couple of years, AVFTB now comes to the printed word, and takes a look ahead to the ashes series of 2010-11. We also take a look back at our 2006-07 tour, which most people don't want to talk about of course, with England just being edged out 5-0! Print + Digital: $6.00 Digital: Free!